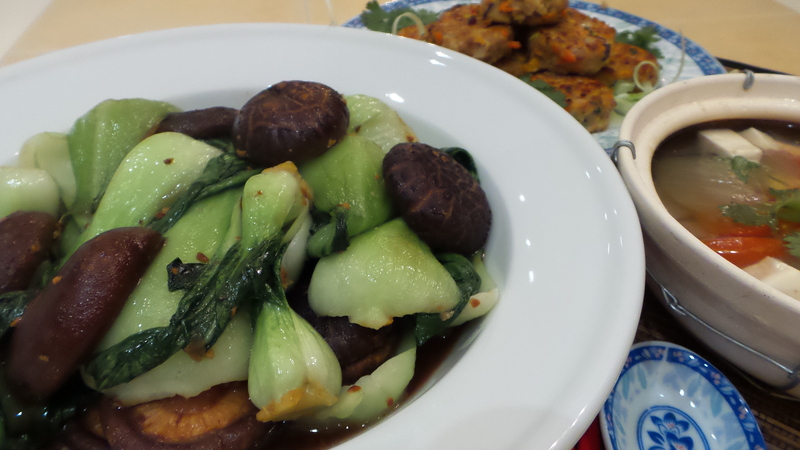 A Chinese meal is incomplete without a stir-fried vegetables. This is an easy dish to whip up you have some green-leaf at hand. I happened to have a few bunches of baby Bok Choy left in the refrigerator. It’s simple, healthy, and tasty. 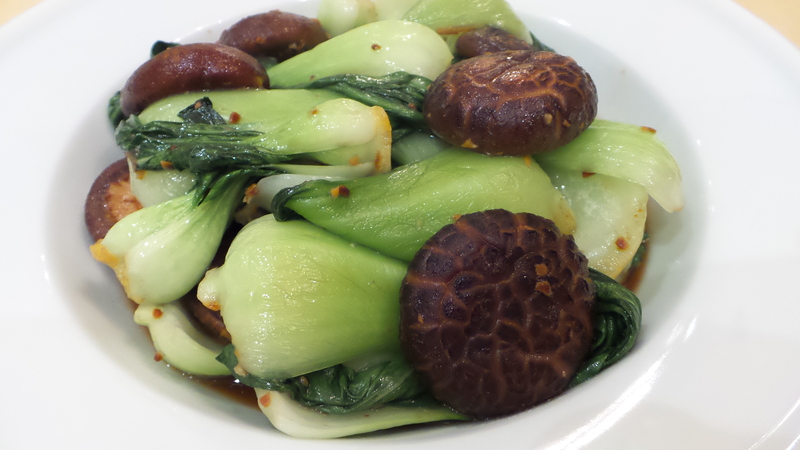 Soak mushrooms in hot water until tender. Squeeze out the water. Set aside. Wash and cut Bok Choy into smaller sections. I separate the leaves. Heat oil in wok over medium high heat. Add the minced garlic and fry till lightly browned and fragrant. Add the mushrooms and stir fry for a few minute. Add the oyster sauce, soy sauce, sugar, and water. Bring the sauce to a boil. Lower heat, coover and simmer for 10 minutes. Turn up the heat and add the Bok Choy. Stir fry over high heat until leaves starts to wilt. Transfer to serving dish and serve hot.